With the rare instances of improperly-tuned instruments or ill-prepared musicians; for this classical musical addict every concert is a treat. Some, however, have that special amalgam of program selection; faultless techniques, and creative interpretations…last night’s Hamilton Philharmonic presentation was just such a combination. 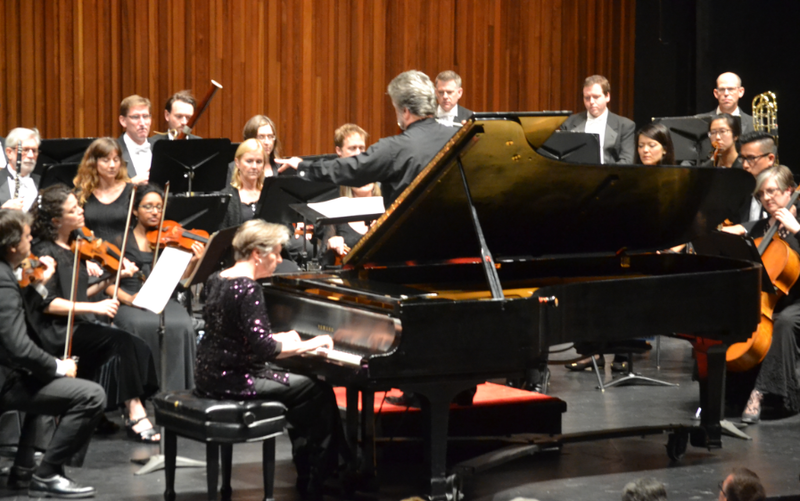 Chopin & Beethoven; pianist extraordinaire Janina Fialkowska, and guest conductor Bernard Gueller made for “An Enchanted Evening”. The opening work was a short composition by Alberta native Robert Rival entitled “Spring”. This is a highly interpretive work that afforded concertmaster Stephen Sitarski a brief but moving solo motif opportunity. soloist Janina Fialkowska interpreting Chopin with the H.P.O.